Ramon Manon's manager at AA Albany Rick Down knew the pitcher would be all right, Down told The Schenectady Daily Gazette in May 1990. It was just that Manon, in the majors the previous month with the Rangers, Down told The Daily Gazette. "He had a few adjustments to make," Down told The Daily Gazette. "He'd been a starter and now he was a reliever. And he'd been in the major leagues, flying to games. All of a sudden, he's back riding a bus. It took a couple days to get adjusted." Actually, Manon had little time to get adjusted during his stint in the majors. He got all of one appearance, a two-inning outing where he gave up three earned runs. He also never got another chance to get adjusted to the bigs. His big league career was limited to that single appearance. 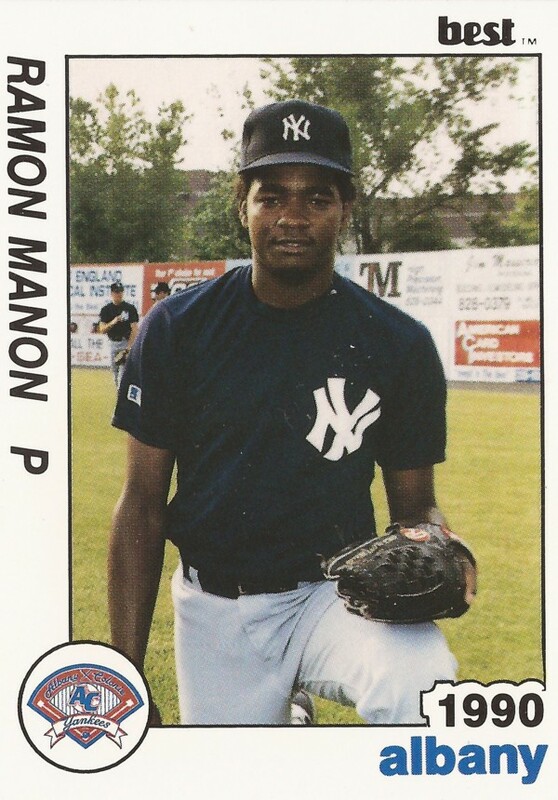 Manon's pro career began in 1985, signed by the Yankees as an undrafted free agent out of the Dominican Republic. 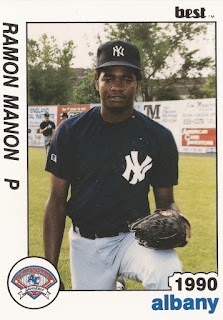 With the Yankees, Manon started on the field in 1986, in the rookie Gulf Coast League. He moved to single-A Prince William for 1987, then a shortened season at single-A Fort Lauderdale in 1988. In his first three seasons, Manon served as a reliever. For 1989, back at Fort Lauderdale, Manon turned starter. In 22 starts that year, Manon went 7-9, with a 3.53 ERA. In a May 1989 contest, Manon struck out 10 in a complete-game win, one where he gave up two hits. That August, Manon spoke to The South Florida Sun-Sentinel about his team's fans. "Everyone is really nice here," Manon told The Sun-Sentinel. "You notice them. It helps." After that season, the Rangers saw something in Manon, taking him in the Rule 5 draft. He also made it through the lockout-abbreviated spring training, to the expanded Rangers roster. Manon did that having not previously played above single-A. He ended up getting into one game, April 19, giving up those three earned runs in his two innings of work. His major league career then ended. Manon returned then was taken back by the Yankees, getting into just nine games, three starts, at Albany. For the next three seasons, Manon never got above AA, spending his final year with the White Sox at AA Birmingham. Manon then came back for one final season in 1995, with independent Minnesota, ending his career.